4024 SPE CHINA (TAIWAN) (1974) Fairy tales*. Set of 8 stamps with value cancelled out (specimen marking). Chinese traditional fairy tales. Scott Nos 1887-94, Yvert Nos 953-60. Beautiful! 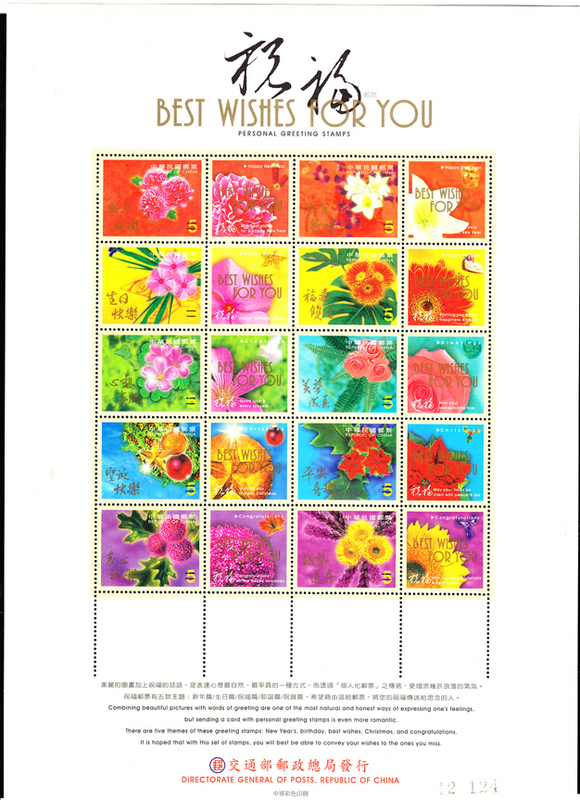 7447 SPE CHINA (TAIWAN) (2001) Personal greetings. Full sheet of 10 stamps + labels overprinted to mark as specimens. Scott No 3401. Fabulous!